Albion Division Superintendent Jim Schindel was recently recognized for 40 years of service to Loup Power District. 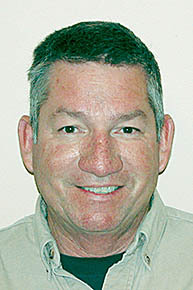 Schindel joined Loup in 1976 as an Apprentice Lineman at the Albion Retail Operation. He was promoted to Lineman in 1977. He was promoted to Journeyman Lineman in 1981 and became Line Foreman at the Albion Retail Operation in 1993. Schindel was promoted to his current position in 2014. As Albion Division Superintendent, Schindel oversees the operation and maintenance of Loup’s electric transmission and distribution system in the Albion Division service area, which includes the northern part of Boone and Platte Counties, and the southwest corner of Madison County. Shindel is a graduate of Hinton High School in Hinton, Iowa. He attended Northwest Iowa Technical College in Sheldon, Iowa, where he earned an Associate of Applied Science Degree in Utility Line. Schindel and his wife, Connie, are the parents of three daughters: Amanda, Crystal, and Alicia. They have seven grandsons and two granddaughters.